This week we had a special guest at steampocket. Tony Knight, an internationally-known dog listener and trainer was invited by Jack Ayrbee from Newtown Veterinary Clinic to share his ideas and techniques. 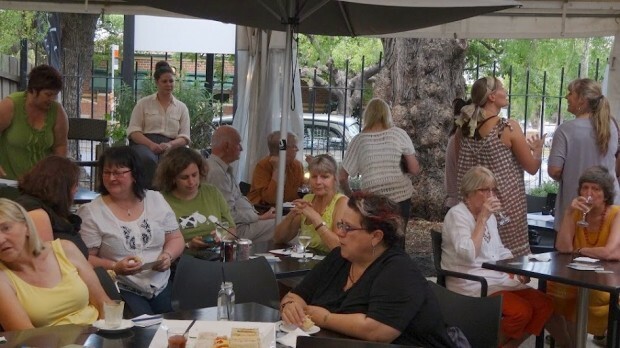 On a warm summer evening, the courtyard was a perfect spot for this informal function. Jack with Tony before the talk. 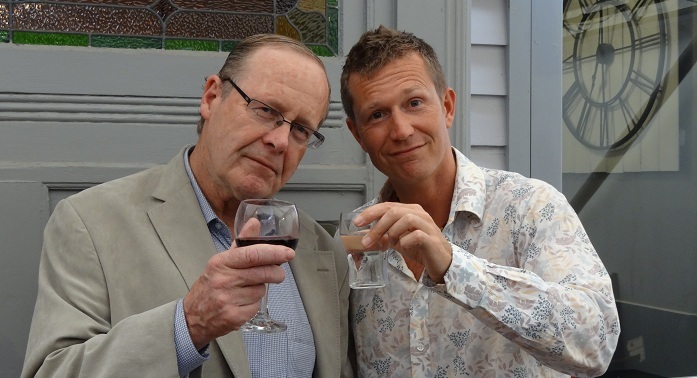 Jack says it is mandatory that any photograph of him at a function must include a glass of red wine, so this one does too! The audience were starting to settle in. Tony is the son of Jan Fennell, who pioneered a dog training technique, called Amichien Bonding. The technique was the subject of a Warner Bros DVD, “The Dog Listener”, developed and co-presented by Tony and Ms Fennell, and an international best-selling book of the same name. Tony is a firm believer that the right training can make a happy, relaxed dog, and owner. The process he teaches is easy to understand, fun to practice and simple to maintain, without requiring gadgets, force or unrealistic time investment. To read more about the Amichien® Bonding technique, head over to the website. 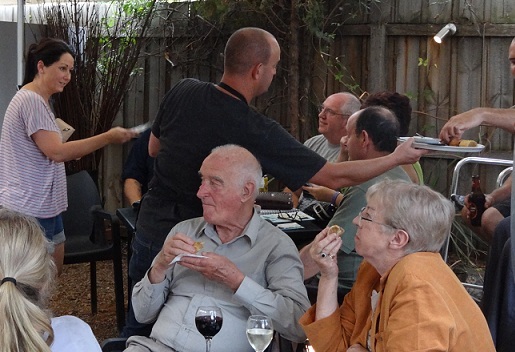 If you ever planning a function, don’t forget to contact us by email or phone on (03) 5222 8969. We would love to host you in our courtyard.